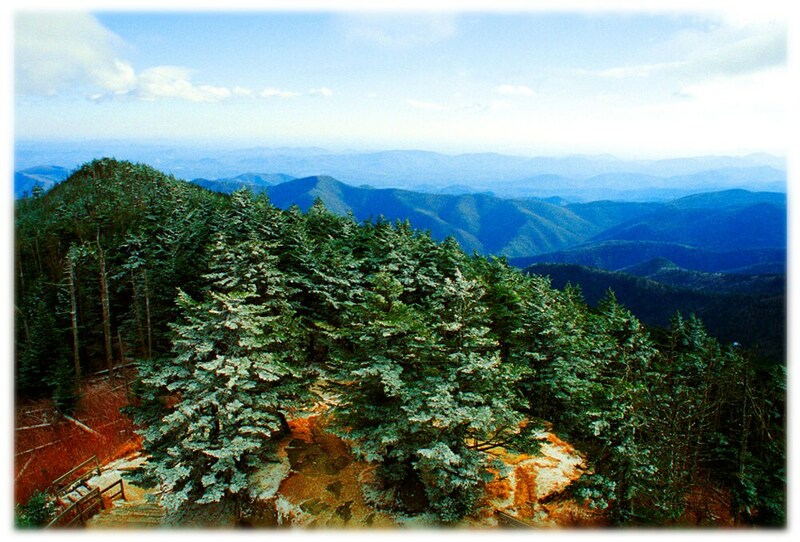 View from the observation tower on Mount Mitchell, near Burnsville, North Carolina. At 6,684 feet in elevation, Mt. Mitchell is the highest point east of the Mississippi River. NC Blue Ridge Parkway Milepost 355.4. I cannot begin to tell you how cold it was on this late-December morning!